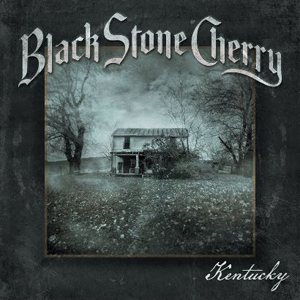 BLACK STONE CHERRY have announced that their new album Kentucky it will hit stores on April 1st, 2016 via Mascot Label Group. The band has also premiered a song from the album called "The Way Of The Future" and you can check it out below! If you pre-order the album on Apple Music/iTunes now, then the song will download instantly. Frontman/guitarist Chris Robertson comments, "We are beyond excited to bring Kentucky to you! Since the release of our debut, we have wanted to go back to the studio where it all began and it finally happened! The original studio owner/engineer, all of the great equipment and BLACK STONE CHERRY have been reunited for what I feel has been the most unique album we've ever made. We took it back to where it started and something magical happened! These new songs are the heart and soul of who we were in 2006 and who we've become. There is something very special about these songs and I cannot wait for y'all to feel them!" Guitarist Ben Wells elaborates, "This album is by far the heaviest, most aggressive album we've ever made. We went in focused, but not overly prepared. We wanted to leave room for creativity to grow in the studio and man did it happen! Lyrically we went to places that we think people will relate to, because it's all stuff that we have lived, or are living. This is the first album we've been able to fully self-produce and the result is an album jam-packed with 'in your face' riffs, huge drums, and bass that will shake your teeth."